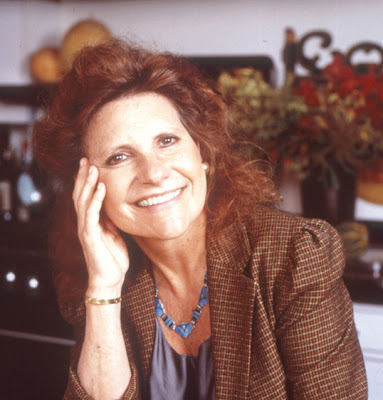 My memories of Sheila Lukins are golden — as I told readers in this warm remembrance of the first “Silver Palate Cookbook,” reissued on its 25th anniversary in 2007. That book, and its offshoots, will stand as her delicious legacy. Sheila, 66, died at home Sunday in Manhattan of brain cancer reports her hometown newspaper. Perhaps, like me, you will think of Sheila each time you make a particular “Silver Palate” recipe — like the Chicken Marbella my friend Carol cooked for our book club this year, the Cornbread Sausage Stuffing with Apples (our Thanksgiving standby) and Linguine with Tomatoes and Basil — a summer-perfect recipe I shared with you on All You Can Eat just last week. Care to share your favorite “Silver Palate” memory or recipe here on the blog? It would be a fine and fitting tribute, I think.